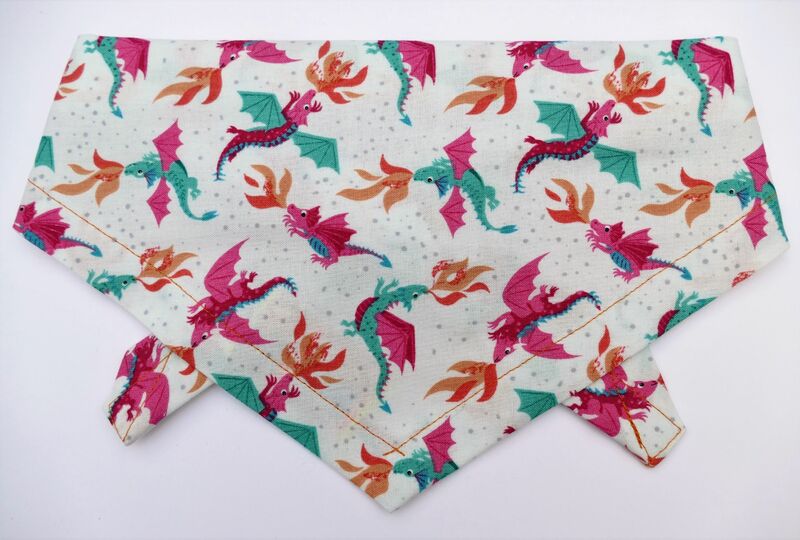 A beautiful Happy Dragon dog bandana from our Premium range. The design has sweet, friendly fire-breathing dragons on an off-white background. It's a beautiful design, and is particularly perfect if you have a Welsh dog! It's a lovely bandana for any occasion, for any fun loving dog about town or country!